I’m sitting at Gate C25 at the Las Vegas International Airport and I already somehow ate $17 worth (!) of spaghetti and meatballs from the restaurant down the hallway, so why not kill a few minutes on WordPress? I squeezed a little road trip out of this regular work week and it was a fun one. I’ve been needing to get a few maintenance items addressed on my 1992 Acura NSX for some time now. The Anti-Lock-Braking (ABS) system has been on the fritz, the stereo emits a deafening static noise when you rotate the volume knob, and the small struts that hold up the rear trunk as well as the glass engine hatch have lost their holding power. I can’t complain too much – the car, for the 4.5 years and 24,000 miles I’ve owned it, has required very little in maintenance aside from oil changes. My detailed 100,000 mile rollover post is here. At 24 years old, some maintenance needs are expected. 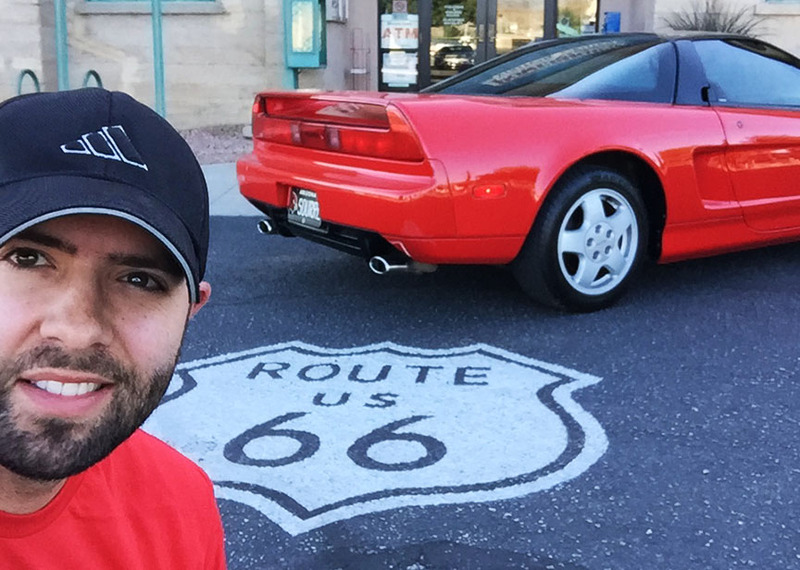 I reflected on my 400-mile drive last night from Scottsdale, Arizona to St. George, Utah. It’s pretty remarkable I can hop into a car that old – the oldest I own, in fact – and spend the next 6.5 hours driving in complete confidence that it will get me reliably to my destination. And it did. Unlike most cars today, this one isn’t a rolling mega-computer. It doesn’t have GPS. It doesn’t have adaptive cruise control. Heck, it doesn’t even have power steering. But you know what? It’s fun to drive. 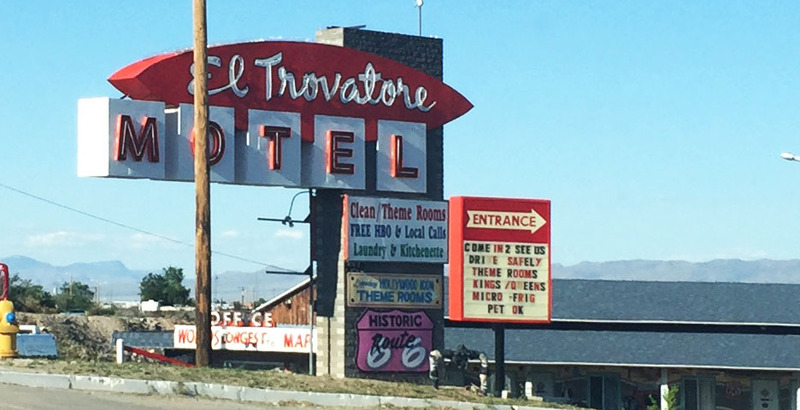 Along the way, I enjoyed some of the sights and sounds of northern Arizona: namely, some Route 66 hot spots. 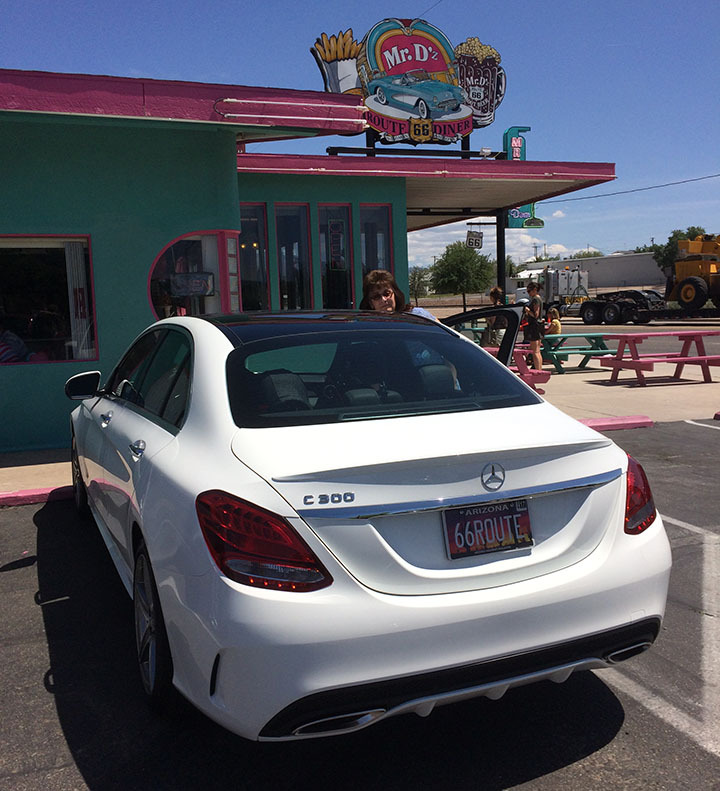 Kingman, Arizona is a halfway point on my Phoenix-to-Utah trip. I routinely stop there for fuel (so frequently, in fact, that I have the clerks at the Mobil gas station on a first name basis). 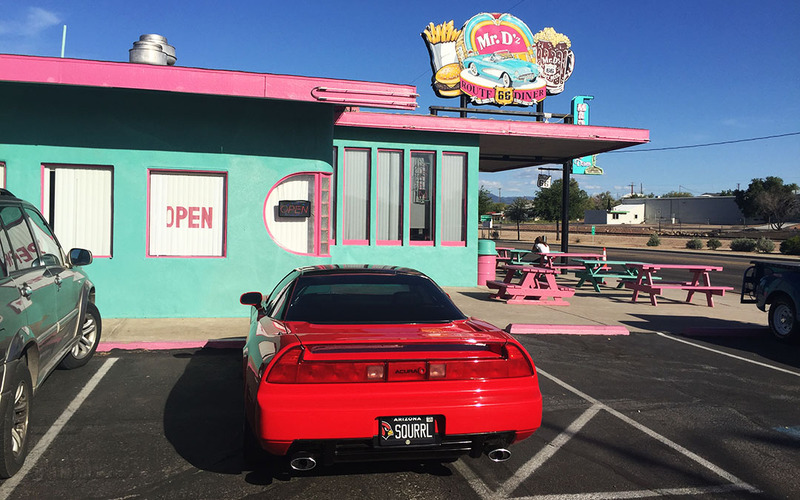 But I rarely venture off the beaten path to take a look around at the sights on what used to be the “Mother Road.” Places like this Mr D’s restaurant pay homage to a simpler time, with lots of color and greasy food because fewer people worried about nutrition facts. 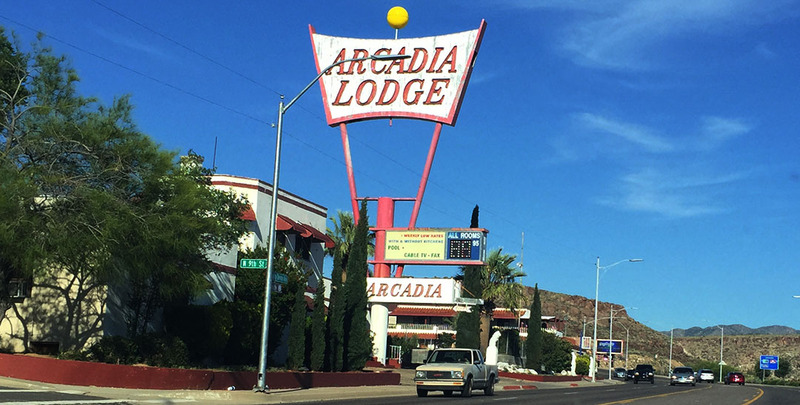 Kingman still embraces its Route 66 heritage strongly and cruising along old 66, you’ll see lots of neat architecture that’s probably changed very little in the last 50 or 60 years. An old power station has been converted into a Visitor Center, but sadly it had shut down for the day just prior to my arrival into town. I continued on to Las Vegas, Nevada, stopping just briefly near the shores of Lake Mead for a photo at sunset. 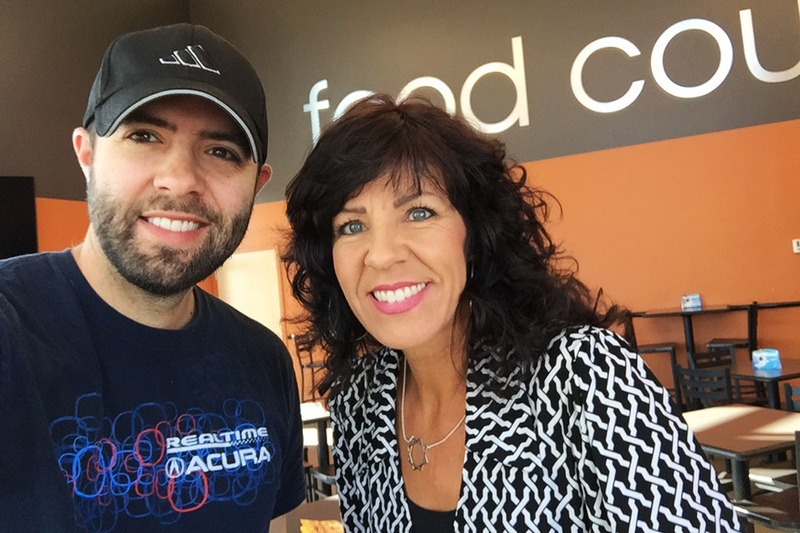 Today, I telecommuted from Utah while paying a few visits to family members. I caught a 5:00 p.m. shuttle bus to Vegas, and I’m about to get on my one-hour quick flight to Phoenix. Speaking of which, they’re about to call my boarding group so I’d better jet – literally. Big week ahead, as I’ll be departing Friday on a nearly 8,000-mile journey to Alaska and back. And I’m taking you with me. So, start packing. 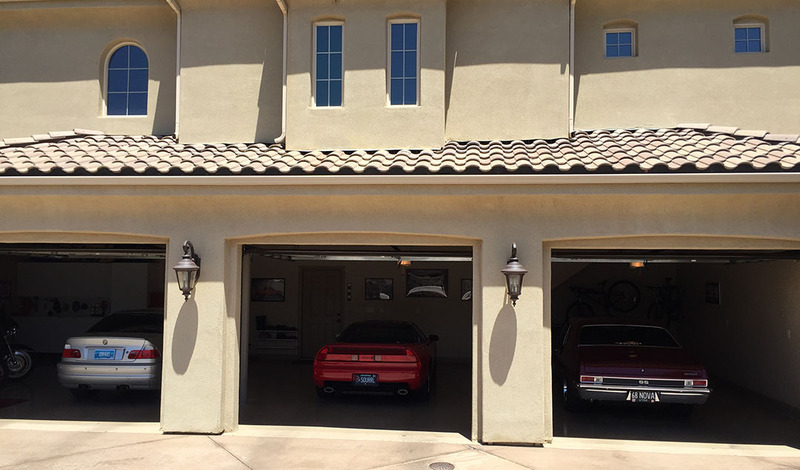 Three nice looking two-doors in a row. NSX power is far less. But you know which one I’d take on a mountain drive. 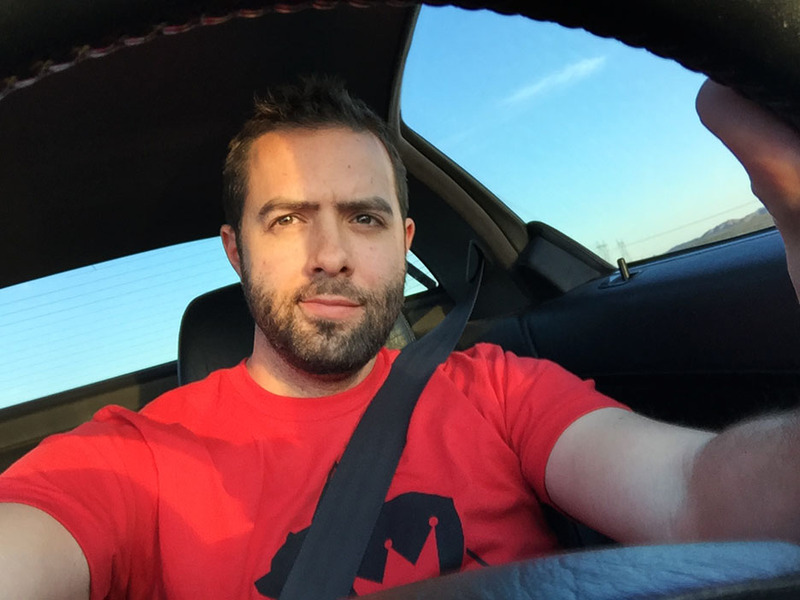 This entry was posted on May 12, 2016 at 8:02 pm and is filed under NSX, Road Trip, Utah. You can follow any responses to this entry through the RSS 2.0 feed. You can leave a response, or trackback from your own site. That is one awesome NSX. I lust over it every time you post pictures of it. I’ve always thought these are amazing machines and even after 24 years since it left the factory I think this one is remarkable. Lucky you, Tyson!! Thanks Joe! 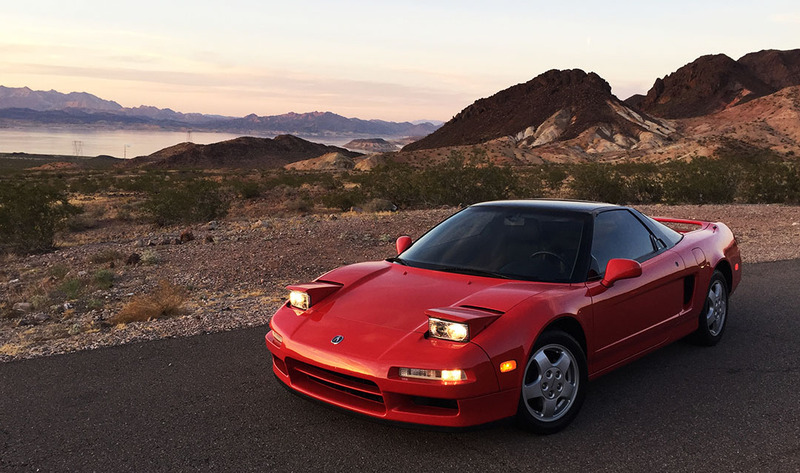 The NSX was a dream car of mine for so long that when I finally picked this one up in San Jose it felt a little unreal. Five years later, the “newness” still hasn’t worn off. 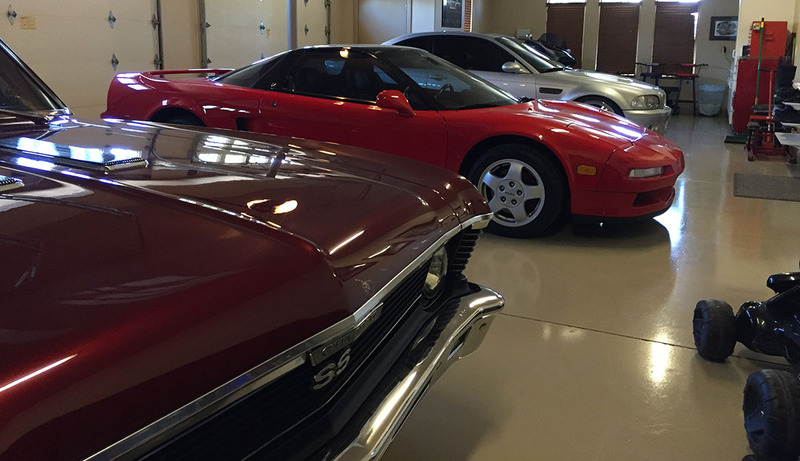 The NSX market is a little wild right now. I keep a pulse on the for sale forums at NSXPrime.com every once in awhile. If you have a preferred year/color, I’ll watch for one for you 🙂 Thanks for reading! We all know how much I love SQURRL. But when a D25 post involves S and Mama T, the one and only Mama Tia trumps all. Good luck over the nezt few weeks without SQURRL!! Ugh, I know! The rest of us don’t stand a chance in this world. Nobody will ever live up to Mama Tia in Conor’s eyes. Happy Friday, my friend! This particular weekend should feel especially awesome considering your newfound freedom! Conor sure knows how to make a Mama feel important! Doesn’t he though?! We should all take a lesson. Spot on parking job at the restaurant. Blame it on the lack of power steering! As a child of the 80’s/90’s, I really like it with the original wheels back on it. It looks time-period correct. Thanks for approving, Tim. My brother asked me yesterday why in the world I had ditched the 17″ 2002-05 wheels, and why I wanted him to take the 15″ hub spacers off the front wheels. “Just to put it back to stock,” I told him. The closer I can keep that car to the way it left the factory, the better! TGIF! Beautiful Lake Mead portrait. Safe travels! Thanks very much, Mark! I guess that shot turned out OK, for a “Hey, cool background, and nobody’s parked there right now – let me pull over real quickly and get an iPhone pic!” opportunity. It was worth the minute that it took. I used to spend a lot of time at Mead as a kid so it’s fun to reminisce anyhow. Hope your week has gone well! Tyson, did you keep the other wheels the car had? Hopefully in storage somewhere? I know you like stock parts but I thought other wheels looked beautiful on the NSX. it had a Ferrari look with those wheels. I sold them a few months ago for $2,500 to a guy in Illinois. I liked the look better with the other ones, too, but the car is more “correct” this way and it handles better. Skinnier tires up front make for lighter steering effort w/o power steering. Hope you have a great weekend! Tyson, let me know if you need someone to fix the Bose headunit. I had the same issue with the 93SE back in ’12 and found someone in Texas who still repairs these. Mine needed a new vacuum fluorescent display, the audiio crackle issue resolved and while he was at it I had him wire in a cable with a 3.5mm aux jack on the end for $160 + S&H. Naturally 2 years later the power amp failed so I got in touch with him again and he found a brand new amp for $300 so he’s not only reliable but resorceful too. At this point its pretty much rebuilt… except for the speakers but they seem to be holding up remarkably well even almost 23 years. Your parking job spot on now that I see you were trying to pull a “Steve.” His car is a beauty and license plate tells it all. Your travels many are never complete with a good meal! Hmm, this is very tempting. Icefields Parkway appears to be not TOO far off our route. It heads west from Calgary through Banff and Lake Louise, and Jason and I are planning head north from Calgary so we can see people in Edmonton. I will give this one some careful thought and consideration! You are right; all the photos I’m seeing of the Parkway look amazing. Thanks for the tip!